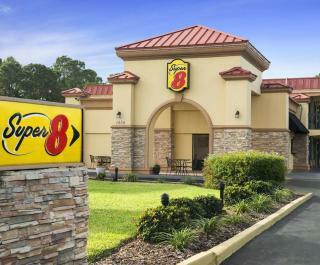 The Super 8 motel is located across from the Bruce Rossmeyer's Harley Davidson complex and access to I-95 at exit 273. The hotel is just a short drive to the "World's Most Famous Beach", Daytona International Speedway, Daytona Flea and Farmer's Market, shopping, dining, museums and more! 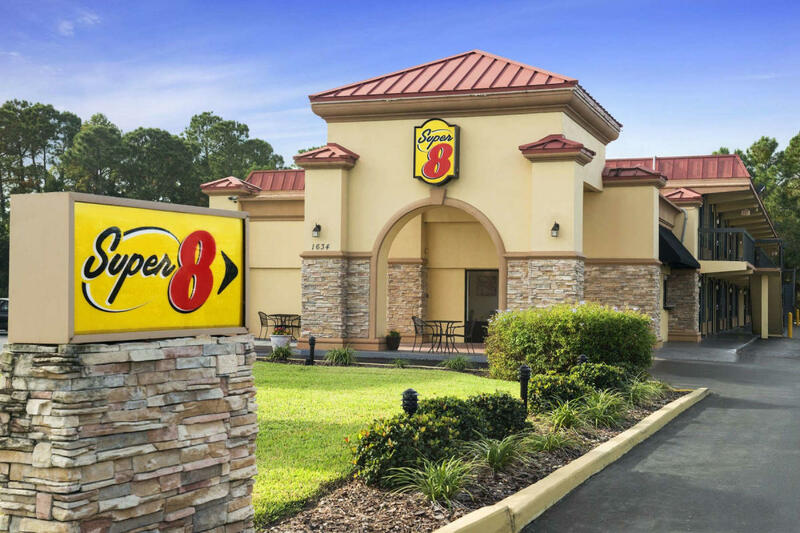 The Super 8 at Destination Daytona is an ideal location to call "home" when visiting the Daytona Beach area. Enjoy our complimentary breakfast that featuring homemade waffles! Additional amenities include free Wi-Fi, 32" flat screen TV's and guest laundry. Pets are always welcome with a nominal fee. Truck parking available.